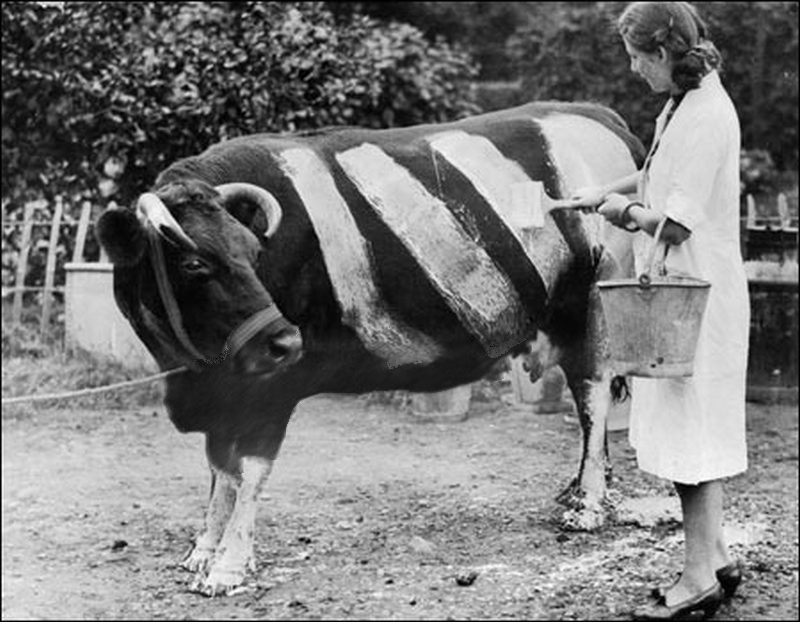 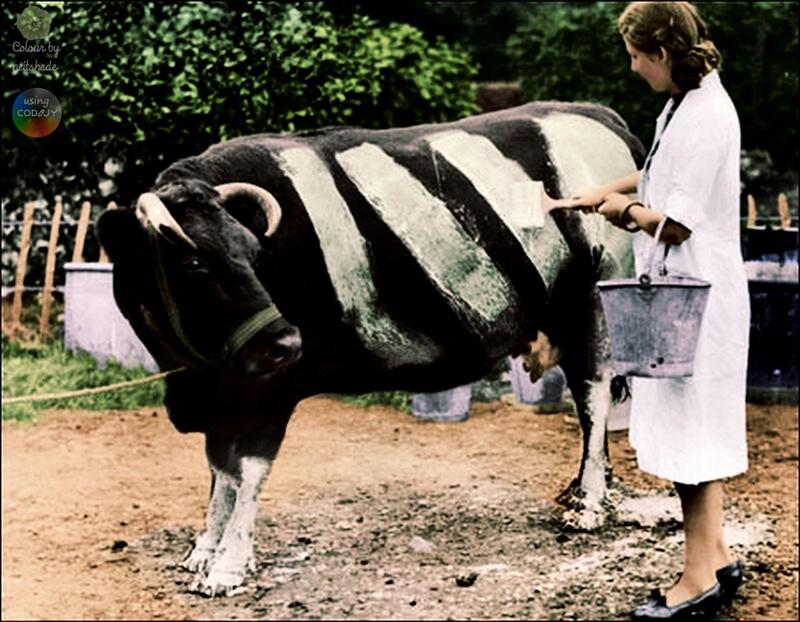 In the early days of the blitz, there were more deaths from accidents during the blackout than from German bombs, which is why this cow, in a photo from 1941, is being painted, to make it more visible at night. 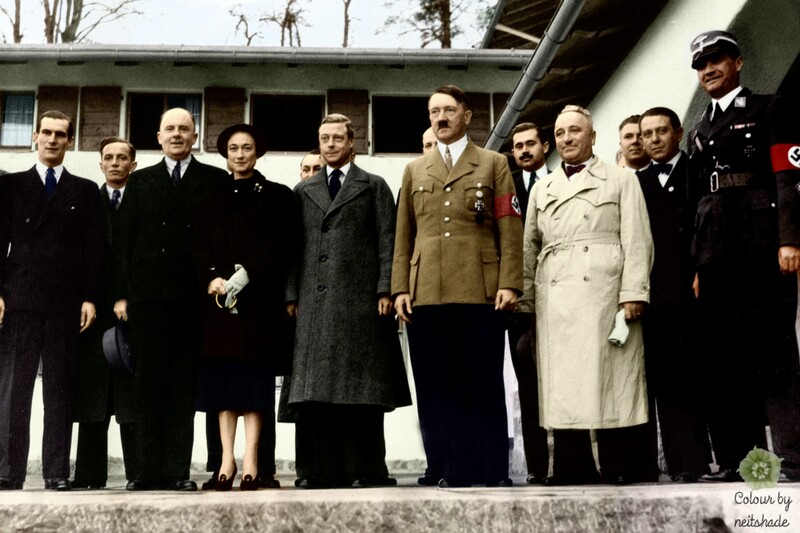 In October 1937, against the wishes of the British government, the former Edward VIII, now the Duke of Windsor, and his wife, the Duchess of Windsor, made a much publicised visit to Germany, during which he met Adolf Hitler. 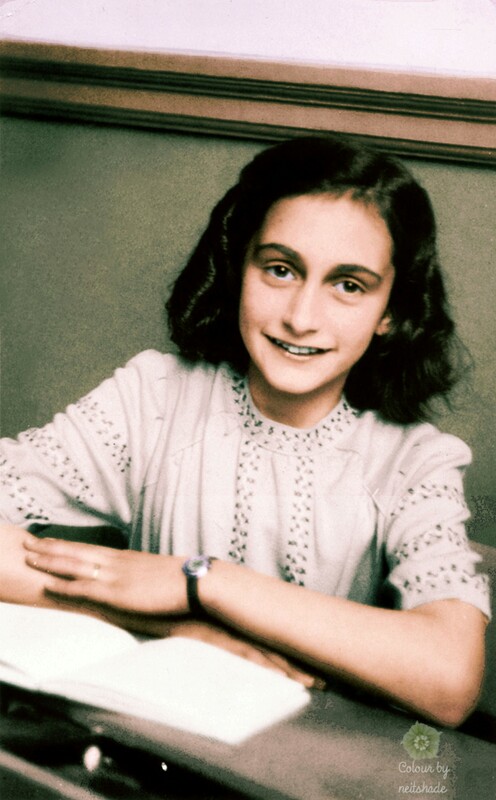 Anne Frank was born in Germany in 1929 but, with the increasing persecution of Jews by the Nazis, the family decide in 1933 to emigrate to the Netherlands. 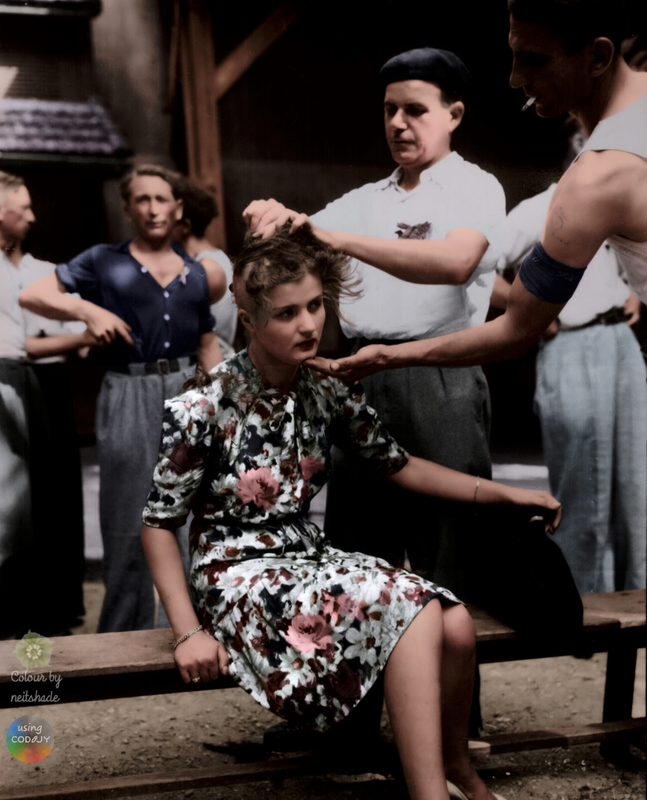 The were happy and secure there for a while, but then war broke out, and in 1940 Germany invaded their new home, and the persecution started again. 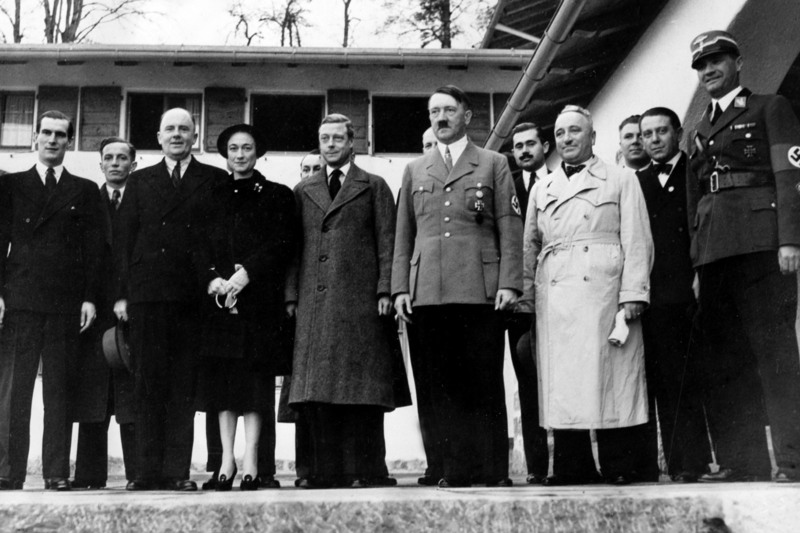 Jewish pupils and teachers were excluded from ordinary schools, so special ones were opened for them. Anne attended the Jewish Lyceum in Amsterdam, where this photo was taken on the 11th of December 1941. Six months later she and her family were in hiding, and Anne started writing her diary. 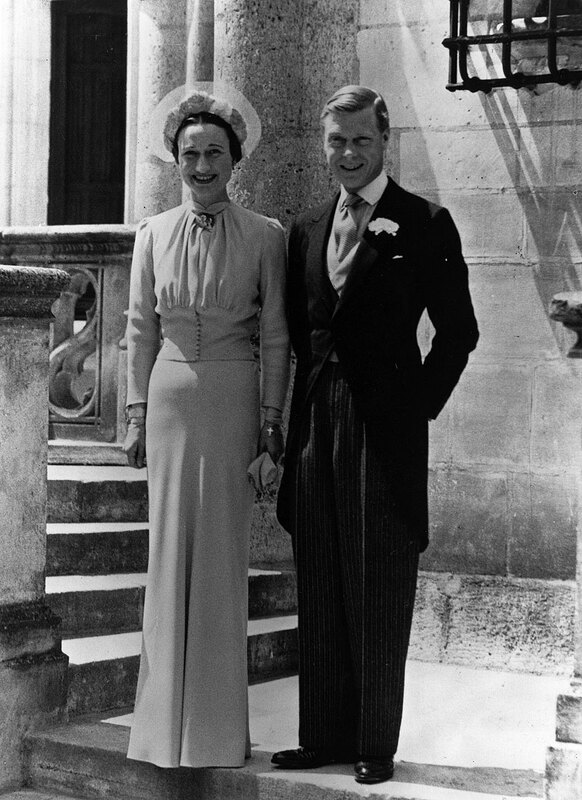 A wedding photo of the former King Edward VIII and divorcée Mrs Wallis Simpson, now the Duke and Duchess of Windsor, on the 3rd of June 1937. 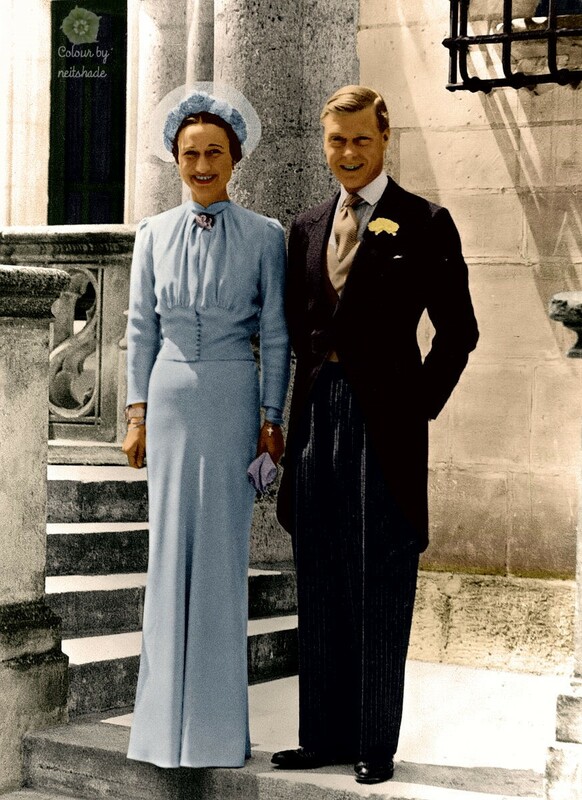 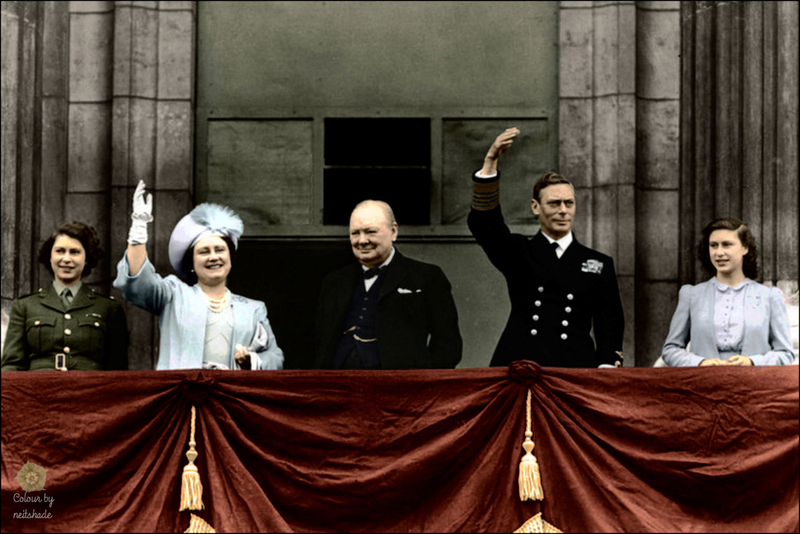 Had the Germans won the second World War, Edward would have almost certainly been installed as a puppet king, and Wallis, enthusiastically pro-Hitler, would have been his Queen. Today, 8th May, is the 70th anniversary of VE Day. 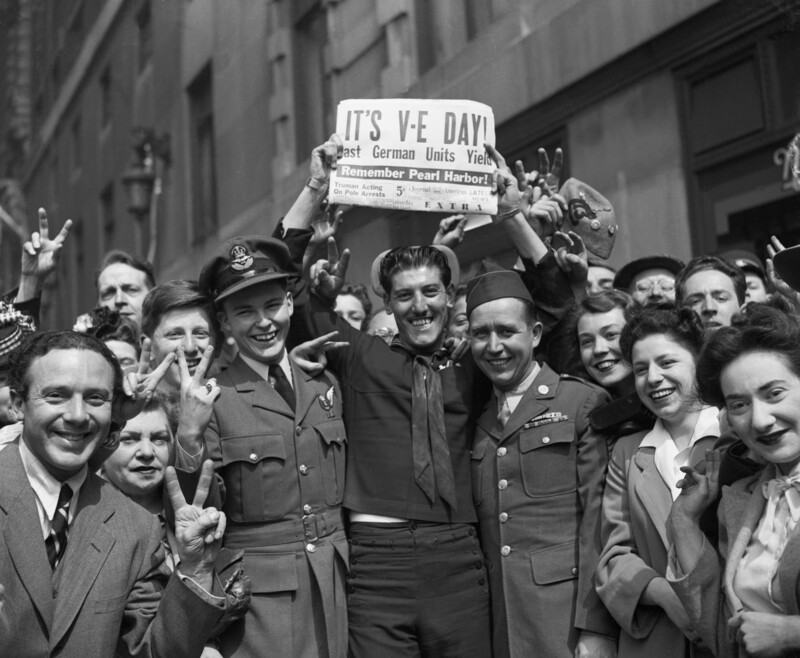 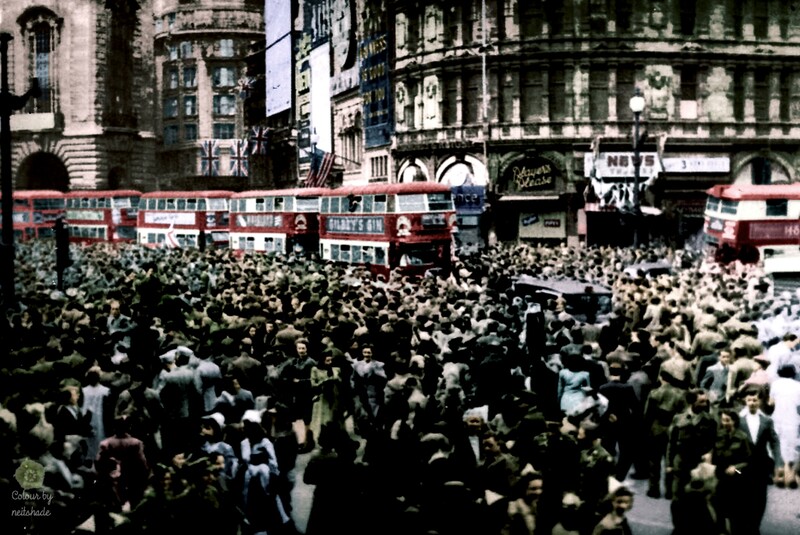 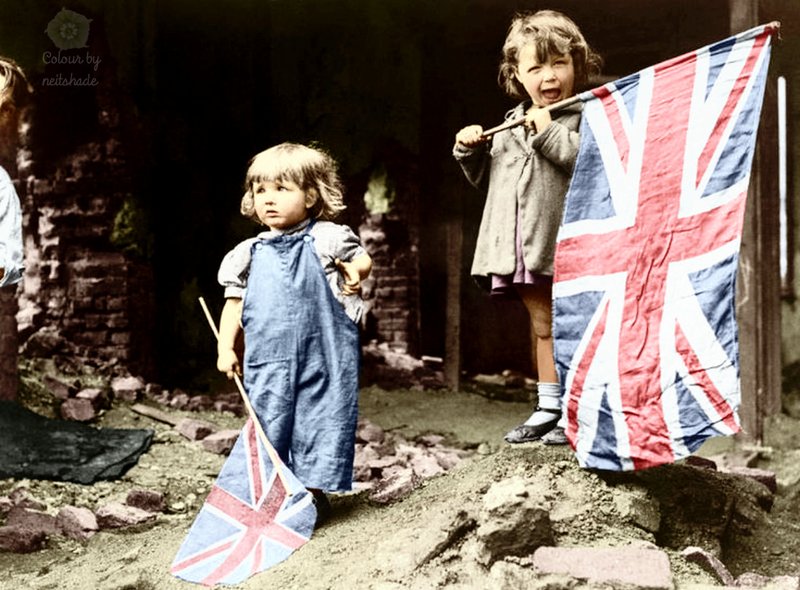 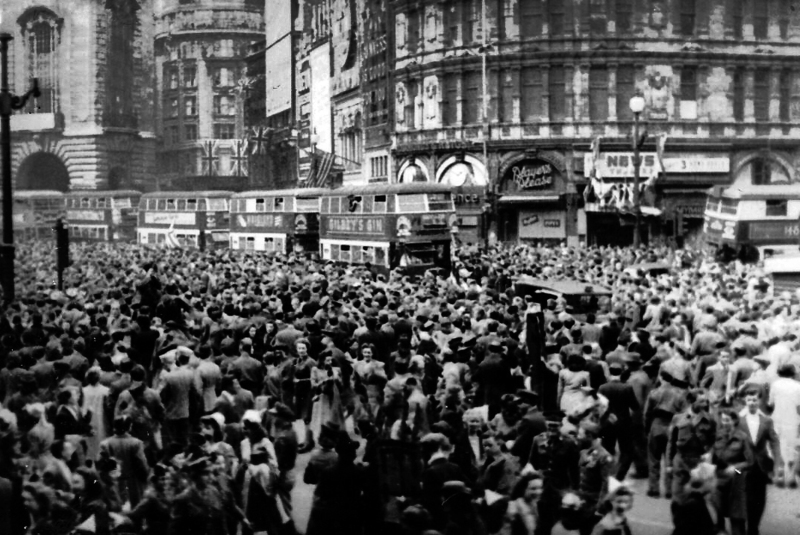 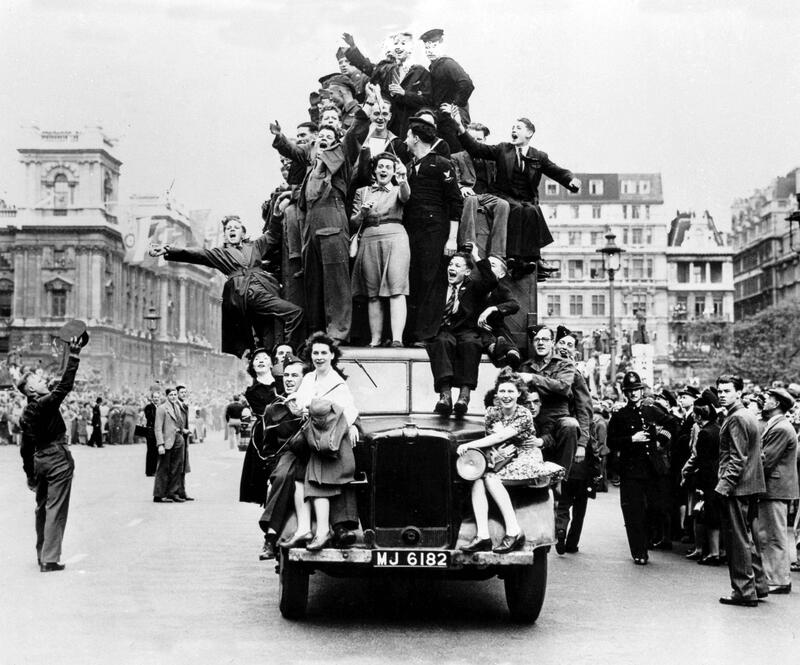 Here are a few scenes from VE Day 1945. 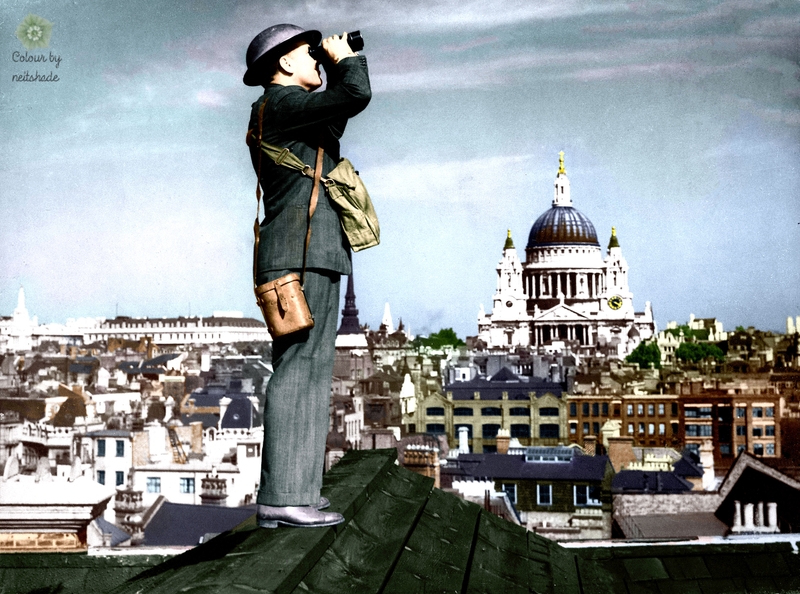 An Observer Corps aircraft spotter on the roof of a building in London, watching for enemy planes during the Battle of Britain of the summer and autumn of 1940. The spotter isn’t in uniform, apart from the helmet and an armband but, as a result of their role in the Battle of Britain, in April of 1941 the title “Royal” was awarded, and the Royal Observer Corps got uniforms.